Eeeeeeeeek! It happened. No, not that Nobel Prize thing. The Epic Baking Day that I’ve been eagerly anticipating ever since Bakerella got me popstruck and changed my life forever. 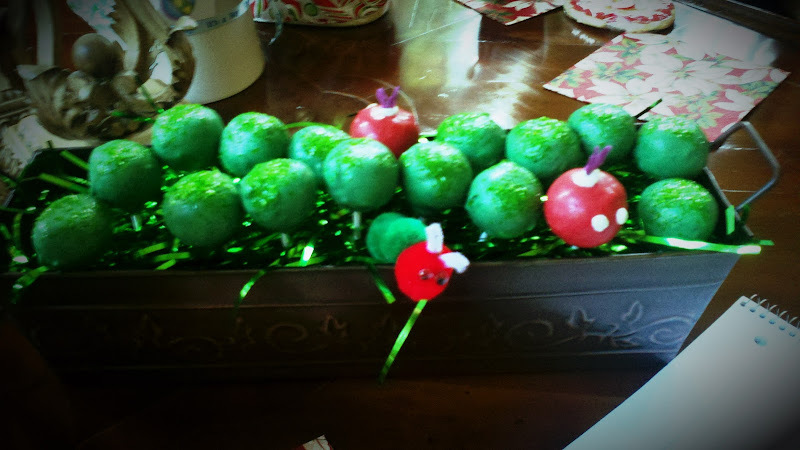 For months, friends have been asking me when I would make cake pops. Soon, I’d say slyly, soon. It was like that time in third grade when I told everyone that I was going to jump off the high dive at the pool and then when I got up there I looked down and thought, Hm, maybe I shouldn’t have told quite so many people that I’d jump off quite so high a diving board, because I’m probably allergic to this kind of thing and I might have a heart attack. I was nervous about the cake pops, but luckily my friend Danielle from Cozycakes Cottage agreed to help me out (and by help me out, I mean buy everything, bring the book, and make me drinks while telling me what to do). This was a happy day because though Danielle and I have been friends for years, I hadn’t really seen her in a long time. Danielle is double-jointed just like me, so you should really check out her blog. Though I am trying to convince her to merge our blogs into All the Cozy Cottages are Taken. If we look a little strained in that picture it’s because we’re squatting. There was no one around to take the picture so we had to use my cheap, short tripod. That’s why I look like I’m in a huddle about to say “hut”. Danielle also bought a bunch of other stuff, since we had big plans to make tartes and popovers. We never got to those. Before we knew it we only had a couple of hours left, so we got down to business. The objective: make baby chicks. The night before, I made the cake balls. Following Bakerella’s advice, I used Duncan Hines red velvet cake mix and canned cream cheese frosting (about 3/4 of a container). They looked like meat balls. They chilled in the fridge overnight. We started by punching out little stars and shaping beaks out of fondant, which as far as I can tell lasts forever, since I haven’t made it since this post. I used a handy punching tool that my friend Sandra sent me from Japan. Doesn’t she have nice hair? I got that apron for Christmas from my husband. Aren’t these sticks pretty too? …and our first baby chick! Typical firstborn — we took tons of pictures of him. Yes, that’s dish washing liquid in the background. Awwww, love you baby chick! We had to eat some of the really deformed ones in the back to put them out of their misery. Maybe not such a flattering angle of him, that one. Then I cried because Danielle had to go. The chicks were separated, and we hadn’t made that many. Danielle left us lots of candy coating and other supplies. Then, abruptly, we had to stop! We had friends coming over. We cleaned up. So we didn’t get to the eating part yet…and actually we still have many more pops to make, so…more to come. But for now, thank you Bakerella for making cake pops such an important part of my life. 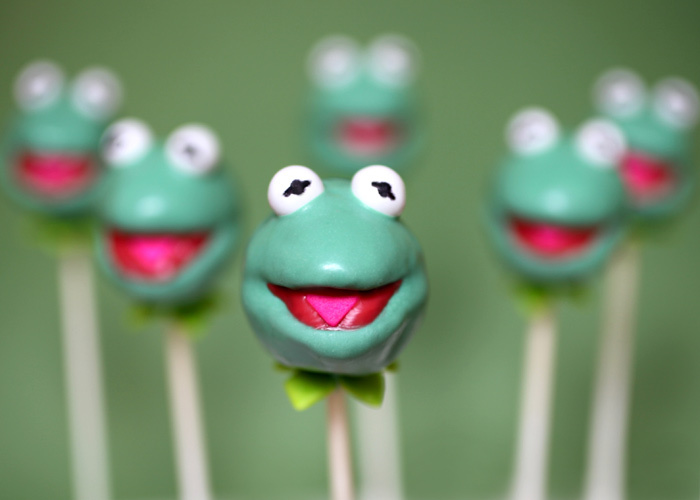 Instructions here for how to make the cake balls, and of course her site is full of amazing ideas for pops. Thank you Danielle for hand-holding me through it. And thank you friends for pushing me so far beyond my inability to make frosting.